As readers of this blog know, I have a preference for stories about little-known historical women. I think women have been systematically erased from history over time and it takes a lot of effort to uncover their stories and restore them to their proper place. But let’s face it. Sifting through academic papers and archaeological reports is way beyond what most busy people will sign up for. That’s where the historical novelist comes in. We do the hard work and the public reaps the reward: an exciting story, an introduction to a different culture, and (maybe) some new insight into history and the people who make it. Judith Starkston delivers on all those promises. 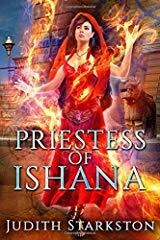 Although Priestess of Ishana is technically a fantasy with magical elements and set in a fictional world, it is deeply rooted in real Bronze Age history; specifically the story of Puduhepa (played by Tesha in the book) a long-ruling Hittite queen. This book covers Tesha/Puduhepa’s early years as a priestess of Ishana/Ishtar. Starkston plans to continue her life in this series. 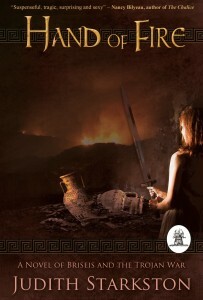 The author is a classicist and has studied this time period and major characters extensively—in books and on the ground at archeological sites and museums. It shows in her detailed writing. One of the fun aspects of writing fiction set in the far past is that you get to make up so much stuff. An author might have a few dates and places for battles, births, and deaths; possibly some laws written in stone or warehouse inventories preserved in fired clay cuneiform; if lucky, some out of context ritual objects, faded art painted on walls, broken statues and vases. From these slender clues, a good author builds a compelling world with lively characters, intricate customs and religious rituals, food, clothing, architecture—all the details of a functioning society. Starkston is a good author and brings the long ago Hittite culture to life in this fantasy world. But all those details are nothing if there isn’t a good story, if we don’t care about the characters, or the writing is dull. Never fear! Priestess of Ishana delivers on all those promises, as well. We have a central mystery, devastating curse, invading army, and thwarted love to keep the plot moving. The main and supporting characters are fully fleshed out. Tesha is young, clever, and courageous, but of her time and culture. She isn’t a “modern woman” set in an ancient time. She accepts that her father will arrange her marriage and rule the household as he wishes. Tesha might not like the outcome as she, her mother, and her blind sister Daniti suffer her father’s whims, but she doesn’t challenge it—other than pushing at the boundaries. Speaking of Daniti, it is refreshing to see a person with a disability treated with dignity and given a major role in the plot rather than relegated to a passing beggar’s role. In summary, this is a fun, engaging read. I highly recommend it to people who like historical fiction and historical fantasy. It’s also suited to a YA audience. I’m looking forward to the next book in the series! Judith Starkston has spent too much time reading about and exploring the remains of the ancient worlds of the Greeks and Hittites. Early on she went so far as to get two degrees in Classics from the University of California, Santa Cruz and Cornell. She loves myths and telling stories. This has gradually gotten more and more out of hand. Her solution: to write fantasy set in the exotic worlds of the past. Fantasy and Magic in a Bronze Age World. Hand of Fire was a semi-finalist for the M.M. Bennett’s Award for Historical Fiction. Priestess of Ishana won the San Diego State University Conference Choice Award. Judith has two grown children and lives in Arizona with her husband. Because writing is best done with community, Judith belongs to her local Desert Sleuths chapter of Sisters in Crime, the Society of Southwestern Authors and the Arizona chapter of the Historical Novel Society. 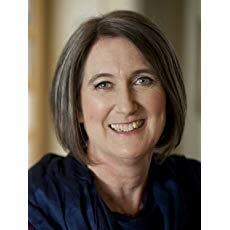 Judith is represented by Richard Curtis. For a free short story set in her Bronze Age fantasy world and a free cookbook of recipes inspired by the ancient Mediterranean foods in her novels, subscribe to Judith’s newsletter on her website. The newsletter goes out occasionally with updates about new releases, special offers and useful information about recommended books and the background of her Bronze Age world.